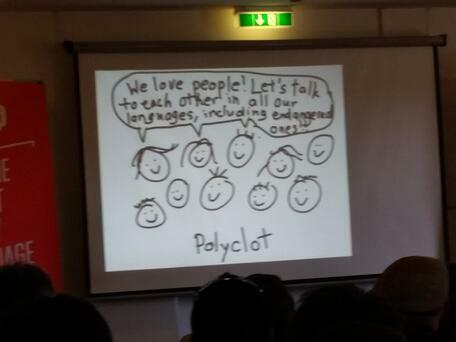 Reflections from the 2016 Polyglot Gathering. This month, a couple of Mangos were able to attend the third annual Polyglot Gathering in Berlin, Germany. It was a week full of multiple languages, great people, and the most interesting conversations. If you’ve attended (or even heard of) the Polyglot Conference, it is a similar event. While the Polyglot Conference is a more formal event and only a weekend long, the Polyglot Gathering spans a whole week and is more like a language convention. It brings together polyglots from all over the community to engage in discussions and listen to presentations about language learning and culture. In addition, the attendees were encouraged to stay in the same hotel/hostel and eat all of their meals there together. As you can imagine, attendees had the chance to meet a plethora of language lovers. With over 400 attendees, you could easily find someone with whom to practice your target language. In the evenings, there were cultural events including the International Culinary Fest, where attendees could provide food from their countries of origin. There was also a “Polyglot Feud Game Show,” where teams of six would answer questions about language, culture, and the polyglot community. If you’ve ever been to a convention of any sort, you’ll know that there are always people — everywhere! Specifically, people who have come to the convention for the event itself. In our experience, there was hardly ever a dull moment and never did we see an empty room. Everyone who attended the Gathering had a unique and interesting life-and-culture story about how they began learning languages. For example, some people had started learning languages when they were very young. Others began in their 20’s, 30’s, and older. You could hear languages of all sorts being spoken throughout the event. Everyone wore name tags (like the one above) which showed which languages they speak, which they are learning, and in which country/city they currently live. 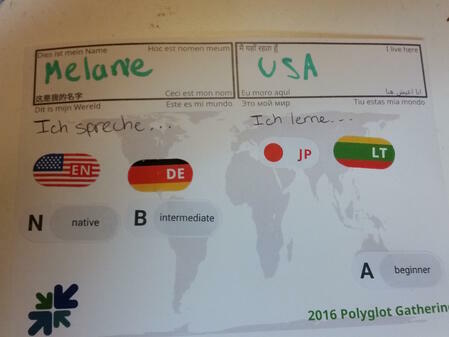 Because the event was held in Germany, there were plenty of opportunities to practice the German language, or any language for that matter — it was a polyglot event after all! Lilia was able to help attendees with their Greek, as well as practice her French and Italian. I was able to practice my Japanese and Lithuanian. I even met someone from Lithuania who was definitely surprised to meet another learner of the language. We were able to reconnect with several members of the community, including the prolific language learner, Richard Simcott, who gave a talk entitled, “From Afrikaans to Zulu: Not all languages are created equally for the learner.” Olly Richards, a polyglot and Internet personality who was one-third of the polyglot panel at the NYC Polyglot Workshops, was also in attendance and gave a talk on “The Science of Successful Blogging.” In addition, we met several of our interviewees (in real life) from the Mango Languages podcast. Lindsay Dow was just as quirky and fun as she reflects through her blog. She was filming nearly the whole time, so if you would like to get a taste of the Polyglot Gathering, you can check out both this year’s and last year’s series. In short, there were over 400 polyglots in attendance whose passion for all things language was truly inspiring. They definitely helped us feel pumped about polyglottery! Alex Rawlings, a polyglot with whom we’ve previously worked to put on the Polyglot Workshops in NYC, gave a talk entitled, “The ‘Need’ Principle”. He explained that one of the best ways to learn a language is to actually “need” it. For example, Alex talked about his experience with language learning. When he was young, his mother wanted to pass on her knowledge of the Greek language to Alex. She tried her best to teach him, but he didn’t need it, so it never stuck. That is, until he was eight years old and he and his mother took a trip to Greece. All of the other children where he was staying had not yet learned English, so he was forced to speak Greek with them. Over time, he was finally able to communicate with the other kids and his mother had seen her dream of teaching him her language come true. 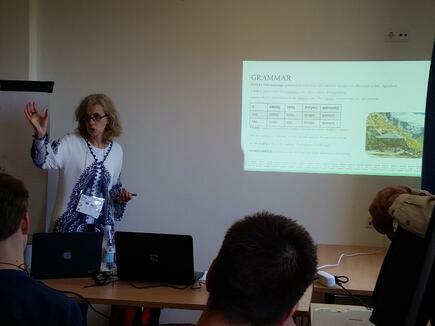 Speaking of Greek, Mango Languages’ very own Lilia Mouma gave a big fat introduction to the Greek language. She touched upon the history, geography, morphology, etc. of the Greek language. Lilia was also rather surprised with the large amounts of people who spoke or were learning Greek. The audience was enthralled with her presentation. When she mentioned the Conference in Thessaloniki in October, everyone seemed very excited. So, many learners had the chance to practice their Greek with a native speaker — and of course, learn a bit about Mango Languages in the process! Another interesting talk that we were able to attend was “The Stagecraft of Multilingualism,” hosted by Michael Levi Harris, the actor who starred in the short film, “The Hyperglot,” which actually debuted at the Polyglot Conference in NYC earlier this year! When Harris starts to get into character for a role, he asks questions like, “How would this person raise their arm?” Although this may sound super specific, it is actually plays an important part in getting into character. You really have to overact when practicing, so that when it is time to perform, you fully embody the character. This is a great metaphor for language learning and can be a way for you to get into the “character” of the language. Another talk we really enjoyed (that coincidentally, also has to do with the Arts) was “Stealing from Musicians: How Musician Techniques Can Improve Language Learning.” This was hosted by Fiel Sahir, a student of classical guitar who discussed some truly unique metaphors between music and language learning. For example, a musician’s tools of Practice, Technique, Music Theory, and Ear Training can relate to the language learner’s tools of Study, Accent Reduction, Grammar, and Vocabulary, respectively. He also performed a classical piece for us during the presentation, which was quite a treat! 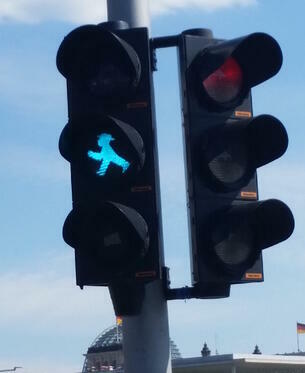 The Polyglot Gathering was held in Berlin, Germany, so we jumped at the opportunity to explore this fun, modern, European city. 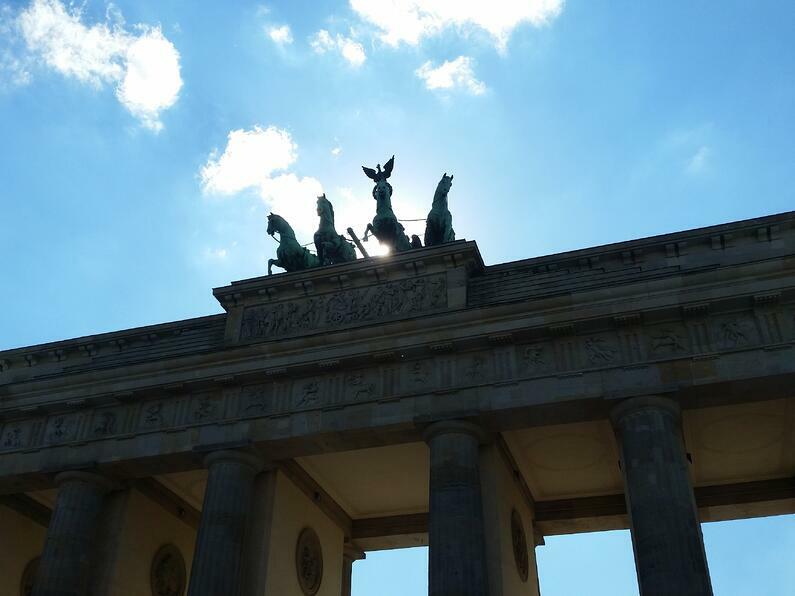 We saw the Brandenburg Gate (Das Brandenburger Tor auf Deutsch), walked around “Unter den Linden” street, explored former East Berlin, and of course, enjoyed some delicious German food (e.g. bratwurst, beer, döner kebabs, and tortes). Another bonus to going to an event in Germany is that we had ample opportunity to practice our German. For example, when Lilia and I went to walk around Berlin for the first time, we tried to speak only German as much as we could, which was a fantastic exercise in language learning. Once, during a cab ride, the driver mistook another American polyglot and myself as tourists from the Netherlands — he looked shocked when he learned that we had come all the way from the States! Also, don’t feel like you have to speak a ton of languages in order to be welcome at this event. The term polyglot has really changed in recent years and it can refer to someone who has an interest or passion for languages, but doesn’t necessarily speak any others. If you would like to simply experience this community and Europe is a little out of your way, there will be an event held in North America this summer. If you’re interested in learning more about the Polyglot Gathering you can check out their website here. It is held around the same time each year in Berlin, Germany, so you can plan multiple years in advance. As mentioned above, Lindsay Dow also created a series of videos about the Polyglot Gathering, to whet your appetite. If you were an attendee at the Gathering, let us know what your favorite part was in the comments below. If you would like to prepare yourself for a polyglot event, find out if you have free access to over 70 languages from your library!